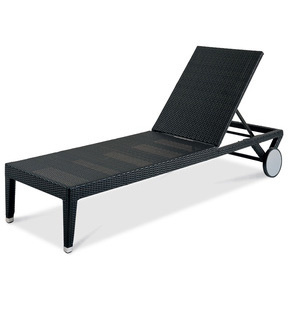 Your company will be able to utilize these GAR Products' Sun Lounger with wheels to provide some class to your indoor and outdoor features. 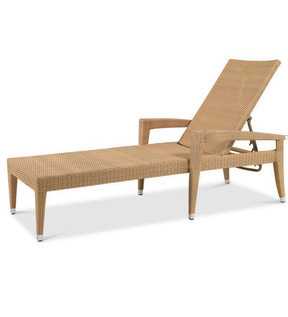 Durable resin strands are woven over a rust-proof aluminum frame, allowing you to feel comfortable while using it and enabling you to be comfortable in the knowledge that these loungers will last for a long time. 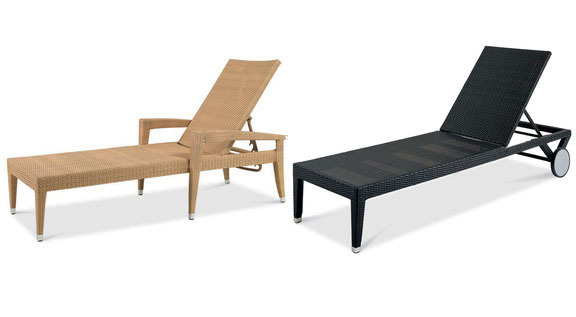 Your company will be able to utilize these GAR Products Sun Loungers with Wheels and Arms to provide some class to your indoor and outdoor features. 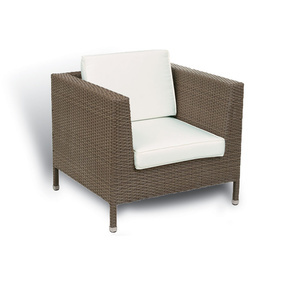 Durable resin strands are woven over a rust-proof aluminum frame, allowing you to feel comfortable while using it and enabling you to be comfortable in the knowledge that these loungers will last for a long time. Developers of outdoor malls and retail centers offer patrons waste receptacles and trash cans to help keep the parking and common areas clean. Hotel, condominium and homeowner associations also want the receptacles on the grounds of their communities and facilities. To provide additional comfort and environment to the experience, many also like to offer benches. Both the benches and the trash receptacles should be commercial construction and heavy-duty. 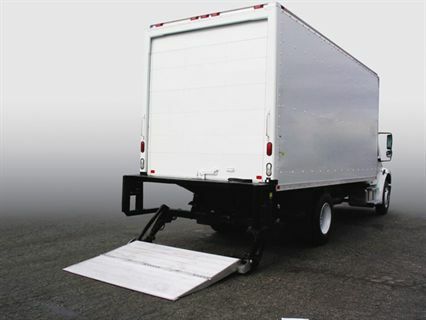 The below items are ideal for retail centers, senior living and apartment communities and any other location that wants to offer heavy duty metal park benches and trash cans. 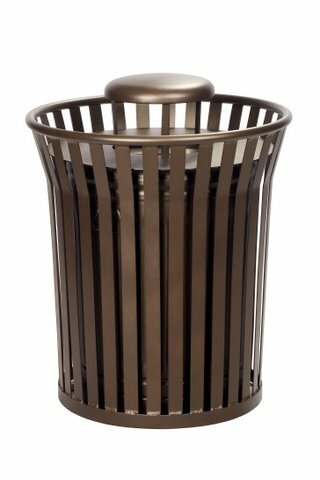 This trash or waste can is made out of commercial steel and is heavy duty. The receptacle weighs 203 pounds and has neutral charcoal finish. The can’s top fans out encouraging trash to fall into or at least on top the top ledge to the opening of the canister for less than careful trash thrower. The trash can is four feet height (48 inches) from the top of the rain bonnet. The circumference of the trash cash is 35 inches. You need a temporary, self supportive fence for your restaurant. You have a restaurant and you want to expand your outdoor dining venue. It gives you more tables, more seats and more opportunity to grow your restaurant business. Additionally, having patrons dine outside allows you to show case your food, beers and other delectables and is free advertising for your business. The only thing standing between you and the great opportunity is your local government, be it the city, town or other municipality where your restaurant is located. Chances are if you are serving alcohol outdoors, be it on a sidewalk dining area, next to another parking or other pedestrian area you will need a temporary fence to section off your space from the public space. Not a bad idea. The issue is that the fencing needs to look good, have a said height and qualifiers that bureaucrat needs to sign off on after you file your plans and pay a usurious fee. Oh yeah, you cannot fasten your fencing into the pavement or sidewalk. What does a restaurant owner do? We have the outdoor temporary self standing fencing solution for your bar or restaurant. Many restaurant owners and managers come to us with their zoning requirements asking what type of outdoor portable moveable fencing would conform to zoning requirements and yet be stylish and functional for clients.